Increasing investment by foreign services providers is transforming Vietnam’s transport and logistics industries, with enforcement of free trade agreements expected to promote further cross-border trade. Thanh Van reports. Fabian Wandt, country manager of Lazada eLogistics, said that there have been tremendous changes in the field over the past few years with more new players and an increasing volume of parcels. Foreign influx continues to pour into the Vietnamese market from major corporations such as Alibaba and JD.com. Online sales are not only driven by marketplaces like Lazada, Tiki, and others, but also fuelled by e-retailers on social networking sites like Facebook, Instagram, and Zalo. According to Wandt, the market will continue to remain fragmented in the next few years, given that nobody is ready to take over completely at the moment. E-commerce platforms are mainly subsidising to grow a customer base. However, Wandt predicted that giants like Amazon will finally make inroads regionally and spark further competition in the next half-decade or later. Indeed, there has been more tension for e-commerce logistics, especially same-day delivery services, due to the ongoing expansion of groups such as Grab Express, Go-Jek’s Go-Send, and Lalamove. Indo Trans Logistics (ITL) has developed a dedicated last-mile logistics unit named Speedlink. According to ITL CEO Amanda Rasmussen, more companies who are operating in the traditional base might expand to e-commerce channels, thereby creating additional demand for e-logistics. Furthermore, cross-border e-commerce will continue to grow tremendously. Thus, ITL has switched the development strategy of Speedlink to capitalise on the opportunities in the flourishing market. Along with serving online merchants on local marketplaces, the firm also launched inbound business to customer (B2C) solutions and began to implement outbound services for foreign companies like AliExpress. According to a report by Indian market research firm Ken Research, Vietnam’s e-commerce logistics market is expected to reach over $990 million by 2022. The market is primarily dominated by third party logistics providers such as Giaohangnhanh, Viettel Post, VN Post, and DHL eCommerce, followed by merchants such as Lazada, Shopee, Tiki, and others. The surge in cross-border online trading activities is one of the major driving forces affecting the Vietnamese e-commerce industry. 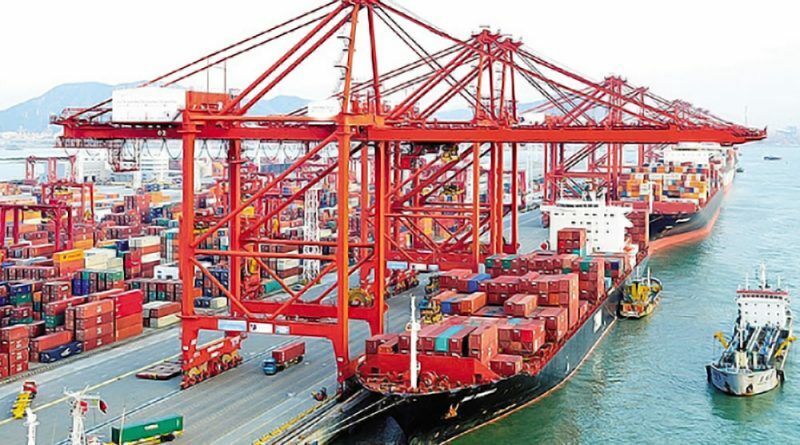 Major trade pacts such as the Comprehensive and Progressive Agreement for Trans-Pacific Partnership (CPTPP) and the EU-Vietnam Free Trade Agreement (EVFTA), with further tariff cuts involved, will provide a boon to Vietnam’s transport and logistics industry. As part of the plan, the EVFTA will lower tariff barriers and recognise the investor-state dispute mechanism. 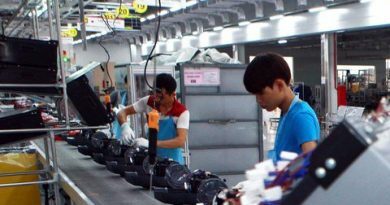 Such changes are expected to bring an influx of investment into Vietnam as well as promoting bilateral trade between the country and the continent. In 2016, global shipping and logistics company Herfurth Group signed a memorandum of understanding with state-run Vinalines to establish a logistics centre in Belgium, so as to facilitate trade and logistics operations in advance of the EVFTA. In addition, the SWITCH-Asia Programme of the EU has provided funds worth €2.4 million ($2.76 million) to the sustainable freight transport and logistics project in the Mekong Delta region which runs from February 2016 until this month. After three years, more than 100 small- and medium-sized enterprises in the Vietnamese transport sector have participated in project activities. As a result, the companies have been able to improve fuel consumption savings by 11.7 per cent per 100 kilometres for heavy-duty empty trucks, and 11.4 per cent per 100km for heavy-duty loaded trucks. 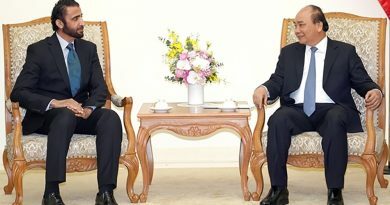 Tom Corrie, deputy head of co-operation at the European Union Delegation to Vietnam, said that Vietnam is deemed as one of the EU’s key partners in the region. Therefore, the EU is committed to upgrading transportation business to boost green freight and logistics in Vietnam. He noted that the movement of freight increased by 75 per cent in the past three years, and exports of goods in the region almost tripled in the same period. The figures are expected to surge once the EVFTA comes into force. Furthermore, the implementation of the ASEAN-Hong Kong FTA (AHKFTA) this month may increase demand for certain consumer goods and logistic services. Speaking at a symposium held in Ho Chi Minh City in September 2018, Anthony Lau chairman of Pacific Air (Hong Kong) Limited said that the AHKFTA will strengthen the role of Hong Kong as a gateway for Vietnamese companies to enter the Chinese market. Meanwhile, Vietnam will become a transshipment hub for Hong Kong products to other Southeast Asian countries. He also lauded the fast-paced development of Vietnam’s aviation industry over the past decade with bright prospects for growth in the next two decades. Domestic carriers like Vietnam Airlines and Vietjet hold the largest market share. Vietjet in particular has recorded impressive growth after a few years of operation. 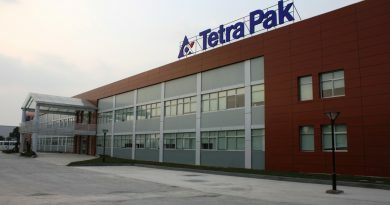 Thus, he expressed hopes to make a deeper penetration into the Vietnamese market by opening a subsidiary in the country.